What makes art political today? At a time of increasing awareness through symposiums, writings and critique of ‘political art’, it is time to reclaim and re-assess the terms, unravel where our politics lie and determine how politics are expressed through art and/or art achieves political aims. How do our understandings of political art differ and what are our shared concerns? This is a chance to air our differences and document our ideals in the 2007 Almanac of Political Art! The Alamanc will be edited and produced in one day marking two-years of REUNION meetings, exhibitions and events with artists from the UK and South East Europe. The Almanac aims to reunite the material, people and understandings of the terms and tactics of political art practice in Europe today. An almanac (meaning ‘climate’ in Arabic) is usually published once a year and acts as a reference book of statistics, facts and recent events for that year. Almanacs sometimes include records of the rising and setting of the sun and moon, tide tables, planting charts, anecdotes, astronomical data and also predictions for the coming the year. The 2007 Almanac of Political Art follows this format, inviting people to contribute inspirations, quotes, hints, suggestions, references, drawings, photos, texts, weblinks, statistics and interesting facts relating to the question - what is it that makes art political? The editing and production of the Almanac in one day will mean the contents is filtered, discussed and analysed, leading to a series of predictions for political art in 2008. Read on to find out how to contribute! 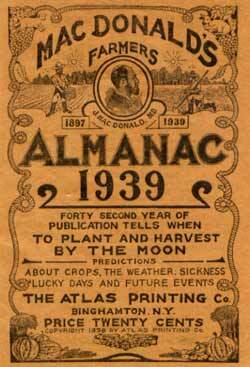 The Almanac will be produced in one day and the editing process is open to the public. Your contributions will be placed in the centre of the editing table at the Austrian Cultural Forum and the editors and the visiting public will use them as the subject for discussion. The contributions will then be assembled for the Almanac and at 4pm the material will be photocopied and made into booklets for distribution that evening. 1. Format: Each contribution must fit onto 1 A4 piece of paper. CHAPTER ONE: What makes your art political? CHAPTER TWO: What are the political and economic implications of ‘cultural exchange’ in Europe? CHAPTER THREE: Clash of the comrades: What does ‘socialism’ or ‘anarchy’ mean to you and how are they relevant to your practice? 3. 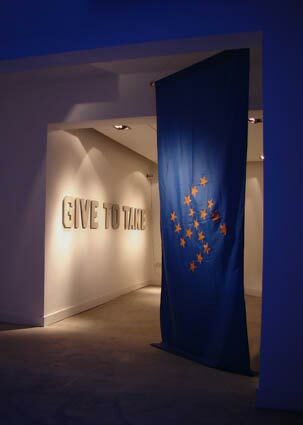 Deadline: Email or post your contribution by Thursday 28 June 2007 to the address below or bring it (in printed format) with you to the Austrian Cultural Forum on 30 June 2007.
image: Installation view of an exhibition of work by Nemanja Cvijanovic and Nada Prlja at teh Austrian Cultural Forum, London, 11–14 April. photo: Nada Prlja. MONEY MATTERS: how is political art supported? Presentations and discussion with Nemanja Cvijanovic, Nada Prlja and Sophie Hope. CONTEXT MATTERS: Can political art travel and be understood? Notes from both these events and also the transcript from the interview with the Director of Austrian Cultural Forum, Johannes Wimmer about the Sweetest Dream, Nemanja's reworking of the EU flag, will be posted here soon.